The sleeves of these colored cutlery are made of ABS. 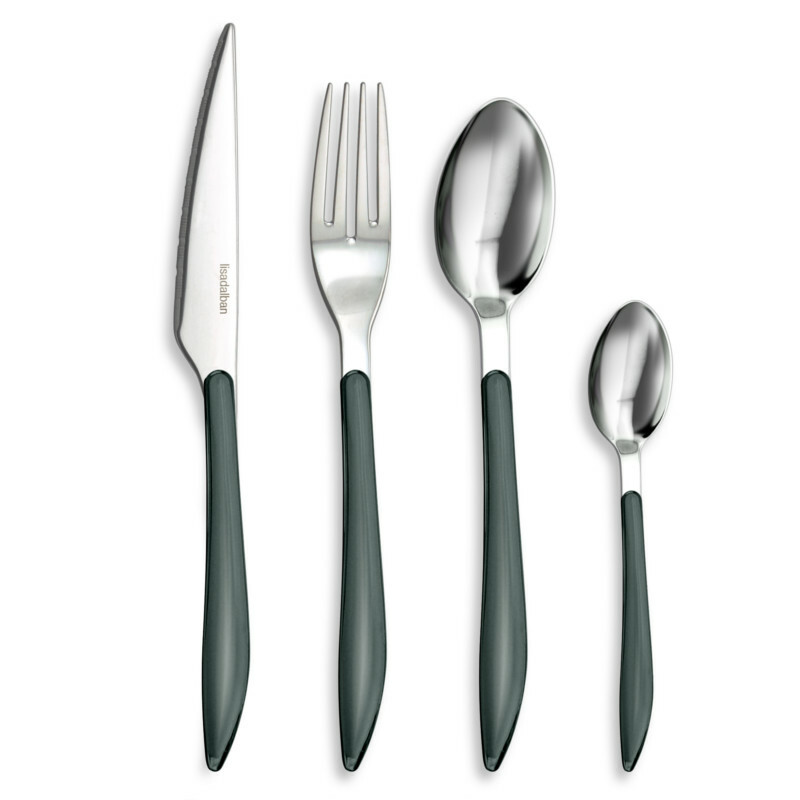 This stainless steel flatware makes it possible to create a contemporary table for 4 people. 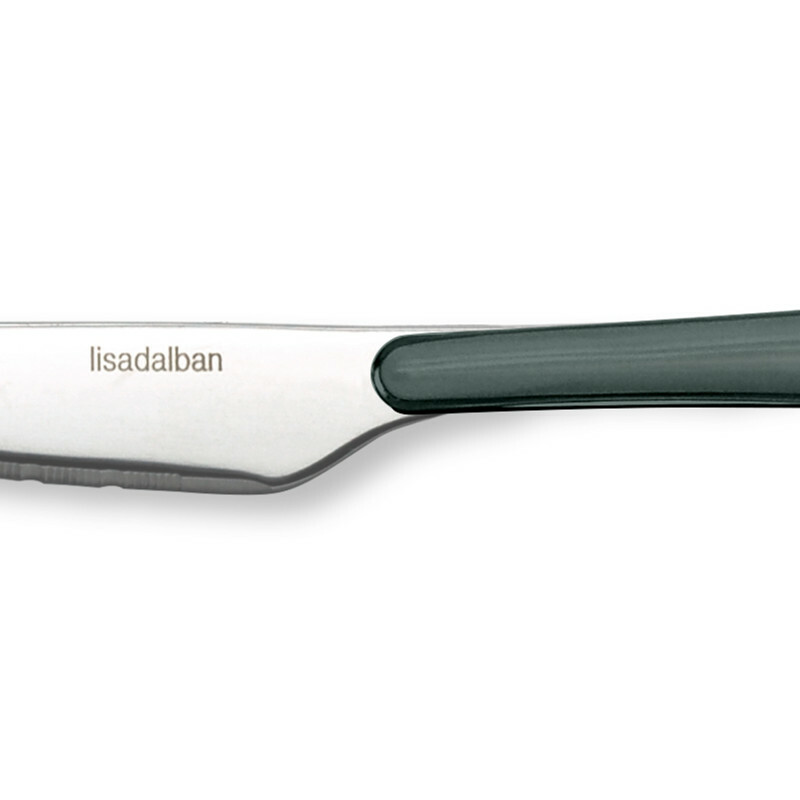 It consists of 4 micro-toothed table knives, 4 forks, 4 table spoons and 4 dessert spoons. 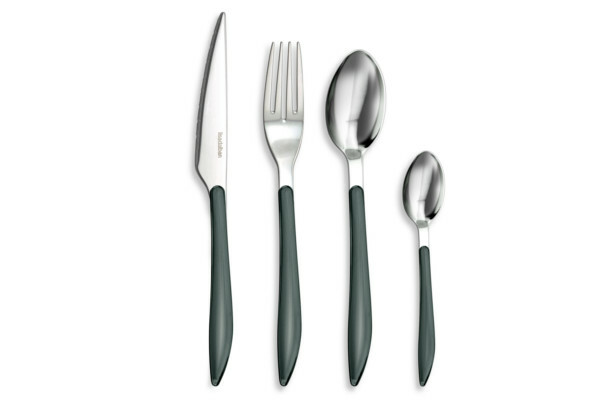 The original look of the flatware Drop breathes a resolutely contemporary air to your table.